FYI this is an Australian app and some vocabulary and pronunciations are different from American English- See Developer's Notes for plans to address this. Consistent rewards- always the same length; rewards can be accessed separately in case you need access to them at another time. 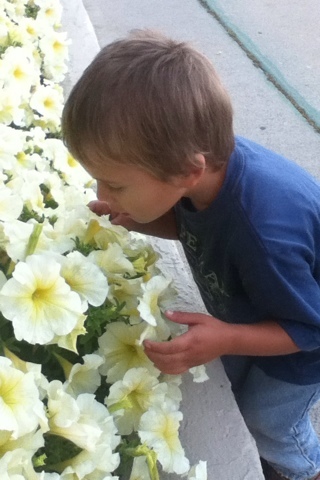 TOBY was developed specifically for children with autism. All of the tasks were developed with the input of specialists who work with autistic children, and are based on years of research. 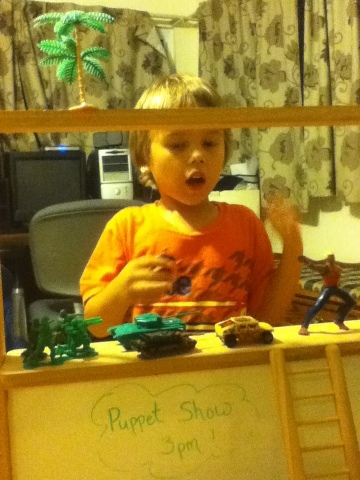 TOBY Playpad focuses on four main areas of learning - Imitation, Language, Sensory, and Social. 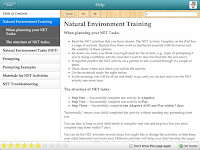 The first three activities have tasks to be completed both on and off of the iPad; the Social tasks are solely off the iPad (NET- Natural Environment Tasks). 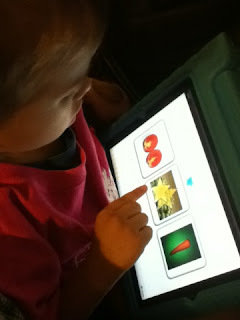 There are a variety of tasks such as copying drawings of shapes on the iPad screen, matching up like images on the iPad, matching up like objects in real life, receptive vocabulary tasks, expressive vocabulary tasks, matching colors, imitating actions such as put on hat, imitating CVC words, working on eye gaze while singing a song, making noises with homemade musical instruments, and much more. 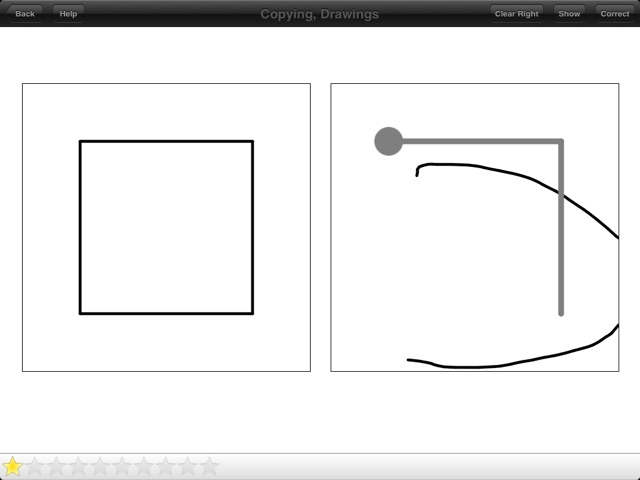 There are even tutorial activities for iPad skills such as dragging and pointing (the pointing tutorial does not distinguish between isolated or non isolated finger touches). 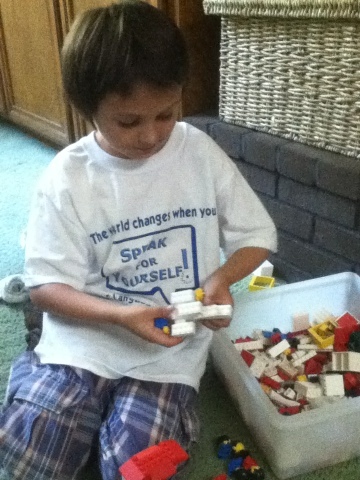 TOBY uses modeling, prompts and positive reinforcement to help your child learn. Toby introduces new words and concepts through the use of modeling and/or prompts. I really like how TOBY Playpad does not use negative reinforcement by labeling the incorrect item when chosen. When an error is made, the object chosen in error simply shows a red No symbol, and a verbal prompt is given, i.e. "No, Try Again." 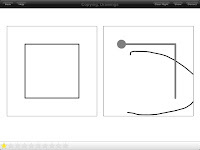 Then if the next attempt is wrong, both a verbal and visual prompt will be used - a prompt such as "Try this one" is spoken, while the correct object flashes and an illustrated hand points to the correct answer. 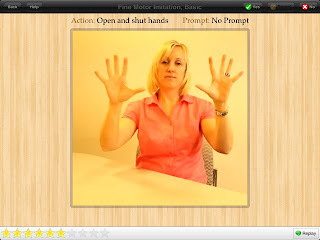 The verbal and visual prompts will continue if the user keeps making an error, however you will notice a written guide for the facilitator in the upper right hand corner : "Prompt: Hand Over Hand". 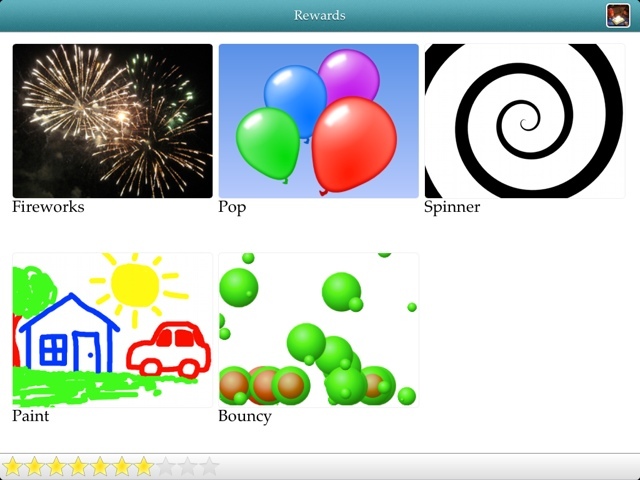 The facilitator should prompt the child and guide him to the correct answer for positive reinforcement - the name of the item will be spoken and verbal praise/reward token given before moving on to the next item. 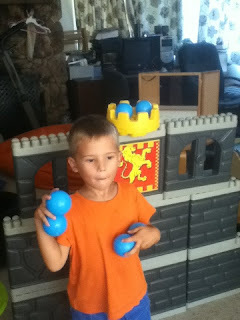 Being introduced to a new word; below he chooses incorrectly, and then is rewarded for a correct choice. TOBY works on imitation skills. TOBY teaches you how to teach! 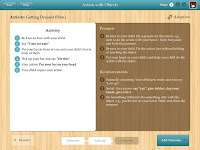 Each activity is laid out step by step, with tips on how to prompt and reinforce. 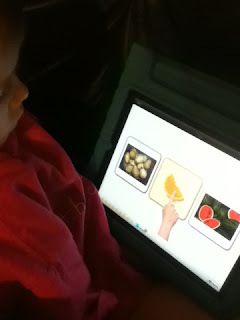 My own kiddos are verbal and actually ask to play TOBY- The handful of kiddos I've used it with seemed to enjoy the predictability and structure of the program; we have been using the program over the past month or so. 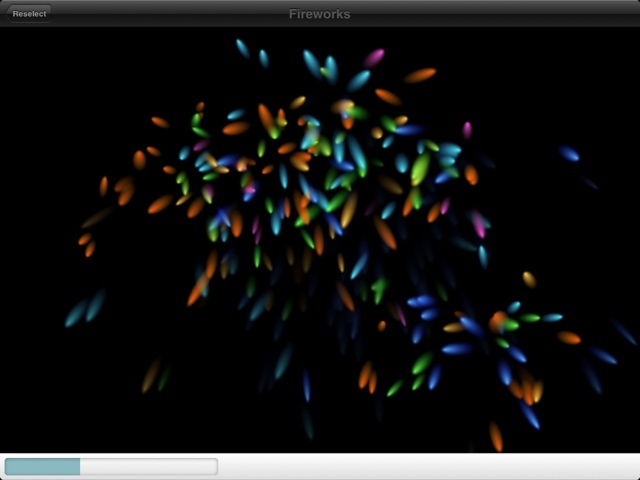 The fireworks reward, hands down has been the most popular, although all the reward games get chosen. 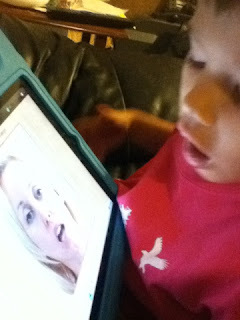 FYI, there are tips within the app on how to keep your child motivated when using TOBY Playpad too. 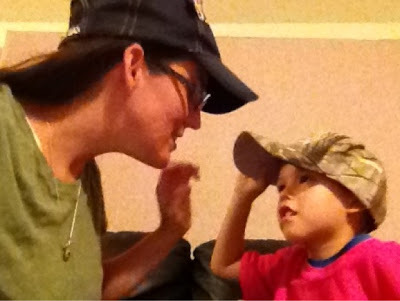 As many of us may have experienced, a child can be a superstar at identifying items on a computer task, or in the speech therapy room, but then struggle with doing so in real life. 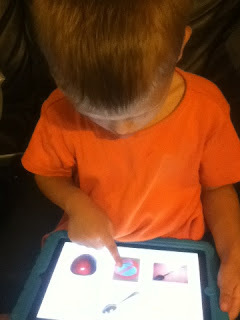 TOBY Playpad teaches skills both on the iPad and off, using simple materials and items from the real world. The wonderful thing about this program is that it actually teaches you skills that can transfer to any environment. 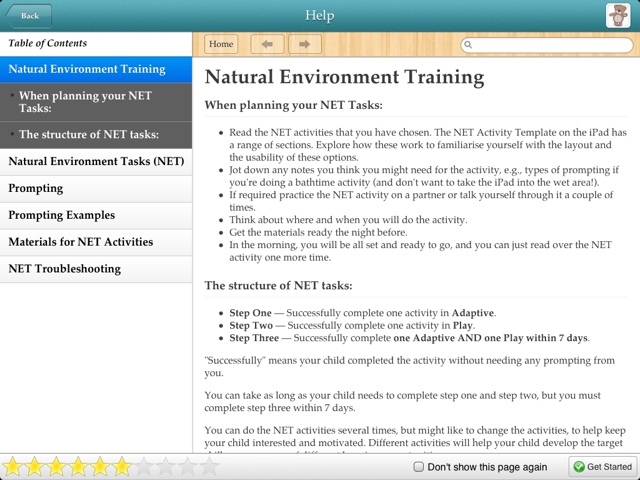 Once you start to go through the program and experience different NET (Natural Environment Tasks) activities, you will see how you can create similar opportunities for learning through everyday activities using the techniques planned out in TOBY. 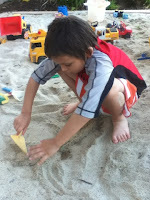 Many of the images I have included are our own activities using principles outlined in TOBY. We are especially excited because these NET activities have fit right in with our Autism program funded here through our Regional Center, RDI (Relationship Development Intervention). You will see that TOBY Playpad actually takes the best components from a variety of methods (I see elements that line up with RDI, floor time, ABA for example), to give you a very well rounded, comprehensive home program that will likely compliment whatever program you are doing elsewhere. You don't know. This is not a miracle cure, nor will it be the right fit for everyone, but there are several steps you can take beforehand to give your child the best shot at succeeding with TOBY Playpad. I can say that I have used this with my own two (verbal) children on the spectrum, and a handful of nonverbal preschoolers, and was excited to see them all interested and engaged in the program, with at least some successes for all. However, I had in mind who might be a good fit before even introducing the program to them. Be committed. TOBY Playpad will require time and commitment on the part of the parent (or educator) implementing it. Some of the tasks are more independent, but almost all will require your input or facilitation. If you are prepared to put in the time for this program, and have taken the steps to ensure it was the right fit, my hope is you will be as pleased with the outcome as I have been. That said, you can see fit to use the parts of the program that fit your child's needs as well as your lifestyle. 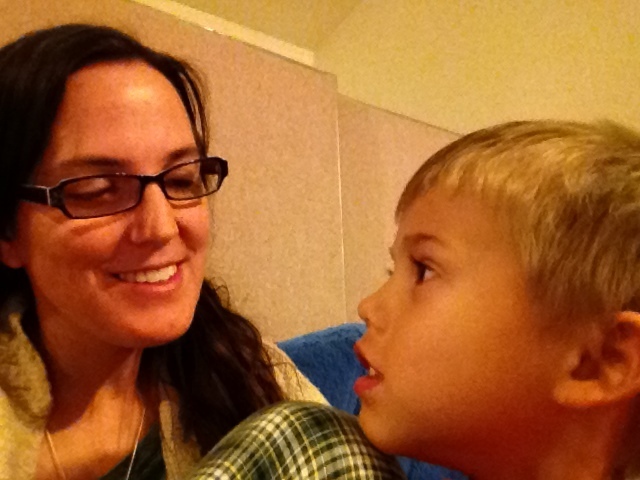 I have probably scrutinized this app more than any before - If someone asked me to pick just one "Autism App" - excluding essential AAC apps for communication for a moment - this would be the one I would recommend first. So I am nitpicky not because there is anything wrong with this app - in fact I see this app as very valuable to the autism community. I have a couple of ideas for options that I feel would benefit more children globally and that would better adapt the program for use in a therapy setting as well. I would love to have access to a list of all vocabulary used and an option to turn words on/off to focus on the child's strengths and/or weaknesses. This would be useful for a therapy setting - for example a speech provider could focus on vocabulary within TOBY Playpad to address a specific speech and language goal. Developer Response: Customisable Vocab List – this is something we can add to our wish list. TOBY currently allows 3 users. I created profiles for each of my children and used the third profile for my students. You could also use the second or third profile as a "test" profile to figure out how TOBY Playpad works. Obviously in my case the third profile's data is not accurate, as it is a conglomerate of several students' work. I would love to see the option to purchase additional profiles as needed. FYI : As the code for TOBY Playpad expires within 7 days, the winner must redeem his/her code within 24 hours of the Rafflecopter ending. After 24 hours if the winner has not been in touch, the code will be given out again. Sorry, it would just be such a shame to see this code go unused. I learned from TOBY Playpad that you can create your child's curriculum and TOBY will generate activities for you when you have completed a step. 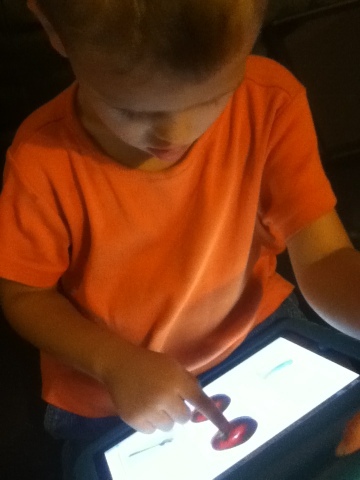 I would like this app for my son who was diagnosed with autism to help with his fine motor skills and even his socialization skills. I think this app would be great for him! 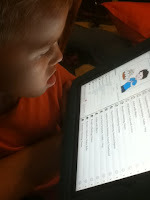 I learned that with TOBY you can track your child's progress very easily. I also learned that the app is designed to be used on the iPad for short periods of time and then you should also use activities in the child's natural environment. 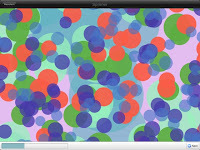 I would love to win this app to use with one of my students. Thanks for the giveaway! I learned that based on the TOBY Playpad's suitability questionnaire, my daughter would benefit from this app! I like that you can adjust the difficulty level and choose goals, and that it will select follow-up activities for you. 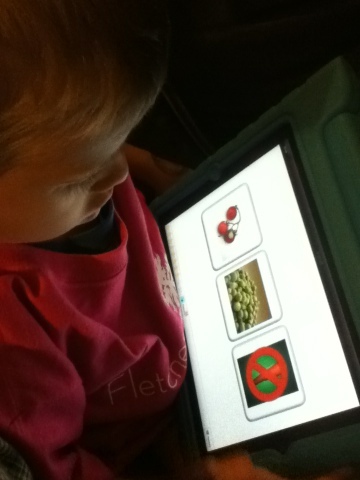 My daughter, who is on the spectrum, loves her iPad and could really benefit from an app that helps her with imitation and play skills. I learned that TOBY teaches concepts in a very systematical fashion, and provides users with explicit instructions. I learned that it allows you to easily track progress. 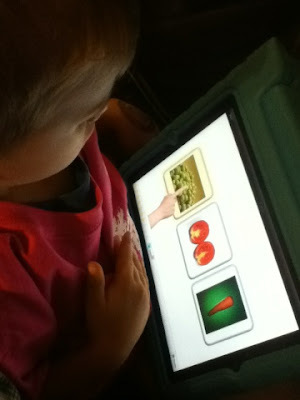 I would like this app to use with an autistic student at school. I have been to the Toby website many times! This looks like a great app. Today I hit up the FAQ tab. I was surprised that Apple takes 30.00 off the top. Such a shame for a not for profit organization! 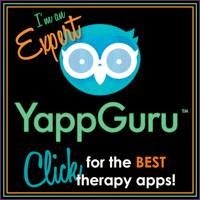 I would love to use this app with some of my Autistic students! I learned that you can adjust the levels and goals, track their progress and there are free downloadable PDF worksheets to use as well. 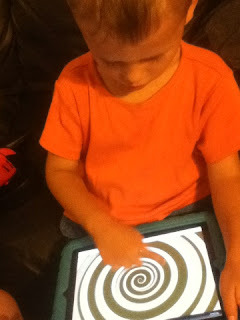 I would use this app with my autistic son to help him with his fine motor skills and his socialization skills! 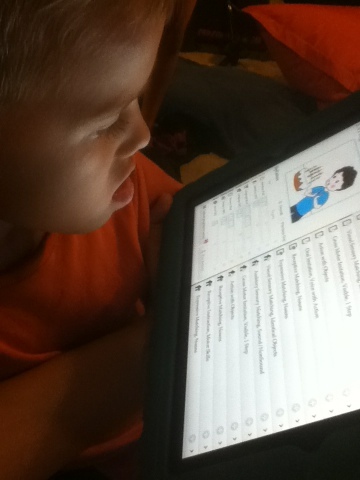 This app would be an awesome tool to add to his therapy sessions as well as his time at home with us. Shame on Apple for taking 1/3 of the price! I learned that Autism West is a not-for-profit organization and that 80% of the moneys raised to pay for intervention and support programs for children and adults with an autism spectrum disorder. 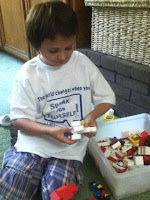 I am hoping to win to use with little ones I work with who are on the Autism spectrum. 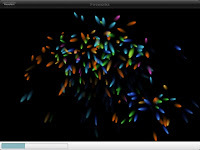 It's a fabulous app and seems to be created by a very committed and educated team of professionals. Its a great and detailed website too.